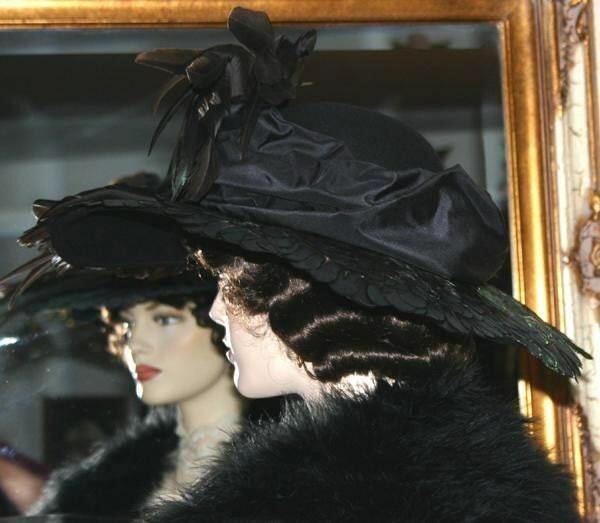 Downton Abbey Hat "Lady Amherst" is an Edwardian Hat perfect for your tea party or special event! It's designed over a black wool base. 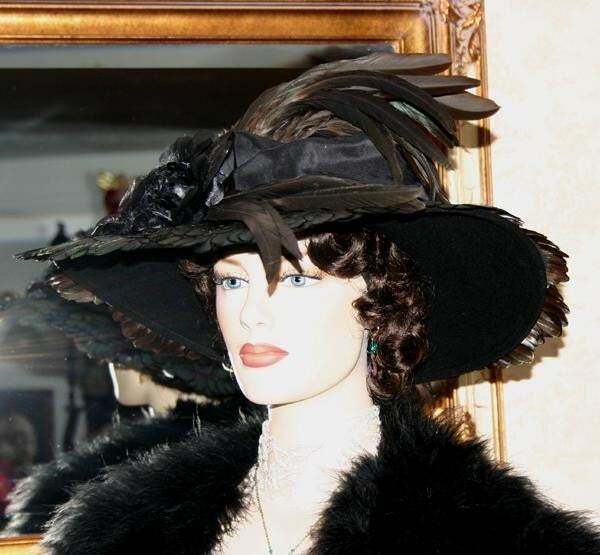 This is the first in my "ROYALE Edwardian Hats" collection. 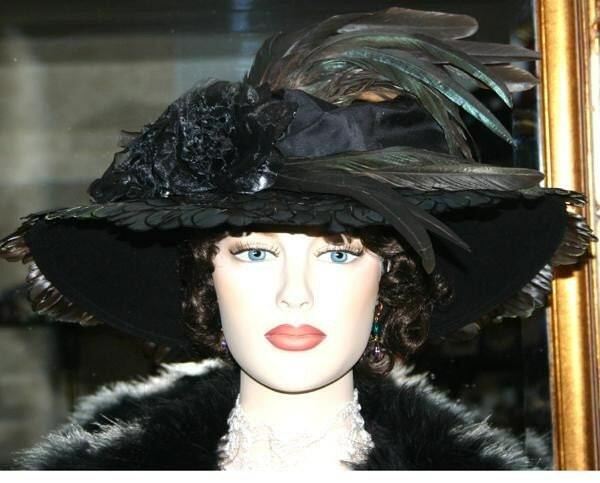 The brim of the hat is completely covered with tiny delicate Iridescent Lady Amherst feathers. 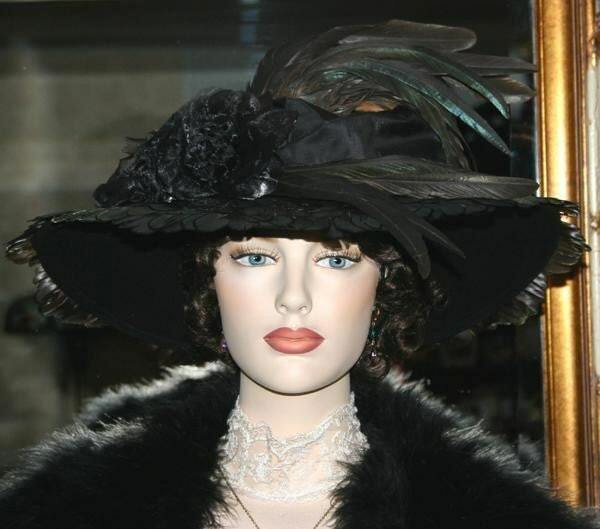 Black silk wraps around the crown of the hat and is accented by 3 gorgeous black silk and organza roses. 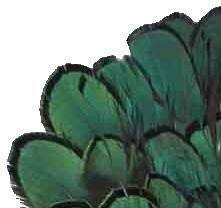 Iridescent Rooster Coque Tails sweep across the brim and over the crown...this hat is one of the most beautiful hats I've ever designed, however, it's very difficult to get a good photo of it...I have added close-ups of the different feathers to give you an idea of true color. VERY, VERY ELEGANT! ***SOME of the PHOTOS have been LIGHTENED in order for you to see some detail. Perfect transaction. Really beautiful hat! Thank you very much.